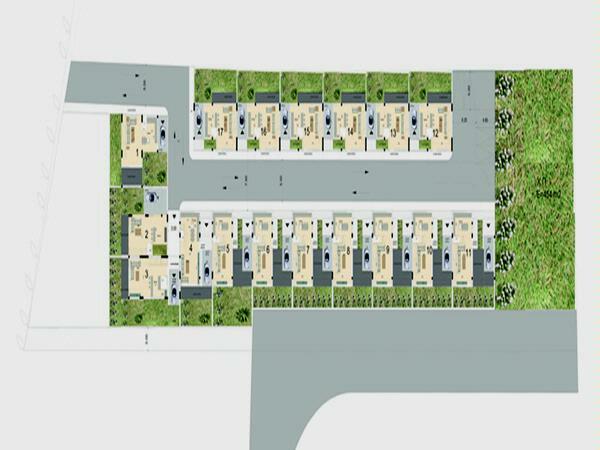 ''Nea Estia" project is located at the Meneou area in Larnaka. Meneou is a residential area near the sunny beach of Pervolia where many summer activities take place. Thanks to the beautiful windy beaches it is a ideal place for wind surf, kite surf and many other summer sports. Meneou is essentially a residential area offering the best facilities to raise a family. 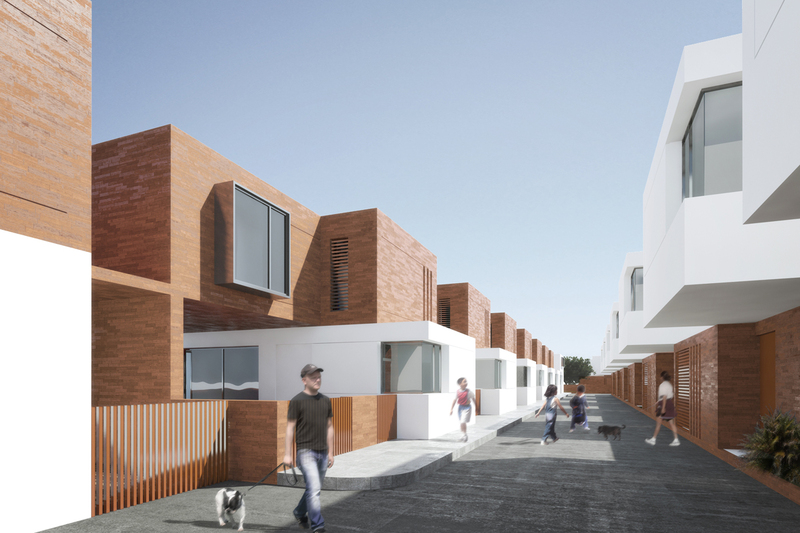 This private residential development is designed around a central private road where you can find the 17 villas composed of 7 different typologies. The 17 villas have been developed to provide residents with a modern and generous architecture, offering comfort tranquillity with generous external garden spaces and spacious internal open spaces. Each unit is a two floor villa of approximately 120 to 140 square meters with elegant red brick and white concrete walls on the facade. The ground floor offers a generous open plan with a large living room and large kitchen fully open to the back garden. The first floor is composed of 3 generous bedrooms and two bathrooms and with sufficient storage space. This modern and luxurious residence is ideal for permanent family residents or for summer villas close to the sea.